Insurance companies always win, right? Well, that hasn’t necessarily been true when it comes to Long-Term Care insurance carriers. 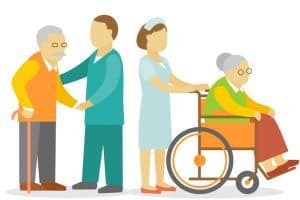 What began in the late 1970’s as “nursing home only” products, LTC insurance increased in popularity in the 1980’s and 1990’s as contract language broadened to cover assisted living, adult daycare, and in-home care. However, actuarial miscalculations combined with adverse market conditions has led to serious problems for today’s LTC industry. Original policies were drastically under priced. This was due to actuaries thinking more policy holders would die younger and less would continue paying for their LTC policy. The opposite occurred. People were living longer and proved unwilling to give up benefits they’d paid years of premium for. As a result, claims rates were much higher than anticipated, and the carriers were on the hook to pay the benefits. Insurance companies also underestimated inflation related to health care. According to the National Association of Insurance Commissioners 2016 annual report, the $35 billion LTC industry in the late 1980’s exceeded $225 billion as of May 2016. * Not only were there more claims, but also a higher cost per claim than expected. Interest rates hit historic lows. This caused performance of the general account portfolios of insurance companies to suffer, as they rely heavily on fixed income assets. Additionally, many carriers were stuck paying fixed guarantees on other products (e.g. annuities) offered in higher interest rate environments. There were once more than 100 carriers selling traditional LTC insurance. According to Forbes, 17 were left standing as of 2016. ** Each of these companies have raised premiums on existing policyholders. Many have done so more than once, and rate hikes on older, in-force policies are expected to continue in the future. New policies available for purchase today are supposed to be priced correctly. The problem is – they aren’t selling. LIMRA, an industry research company, cited LTC sales declines of 60% since 2012. *** Press has been negative. New issue policies are expensive. Underwriting is strict, and premiums are still not always guaranteed to remain level. By the way, if you never need care, you get nothing. These factors have pushed consumers toward the certainty of linked-benefit and rider-based products. These plans typically have 3 components: a cash value, a death benefit and a LTC benefit. Both allow for access to at least a portion of premiums paid should one need to withdraw cash or elect to cancel their policy. They are not “use it or lose it” like traditional LTC insurance, yet they can be just as expensive. LTC continues to be a costly problem to solve for retirees, whether one buys insurance or not. Time will tell how the industry evolves from here.